With fall and cooler weather, we often think of the birds. 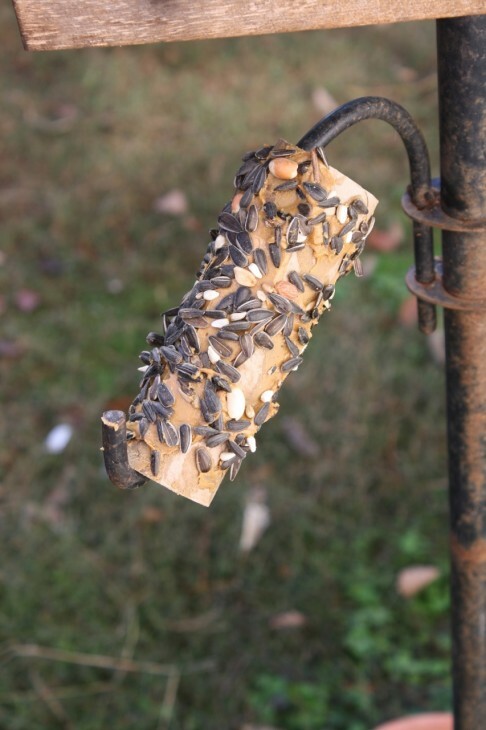 Plus, with a little SunButter, we often see more of a variety of birds at our feeder. 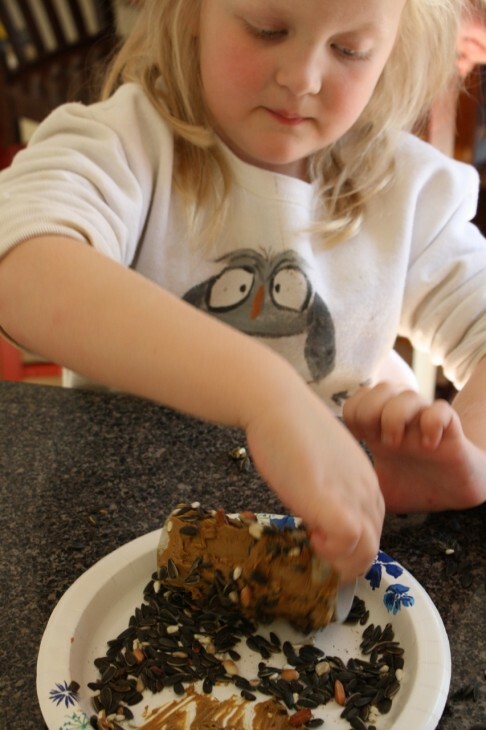 The nuthatches and woodpeckers love a little extra with their birdseed. 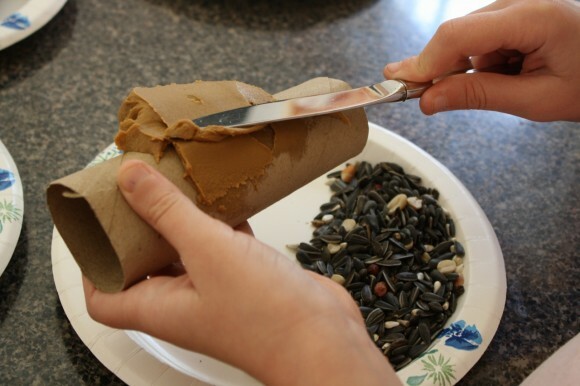 So, when I saw these simple feeders on Pinterest, I knew we could do an allergy-friendly version with SunButter. 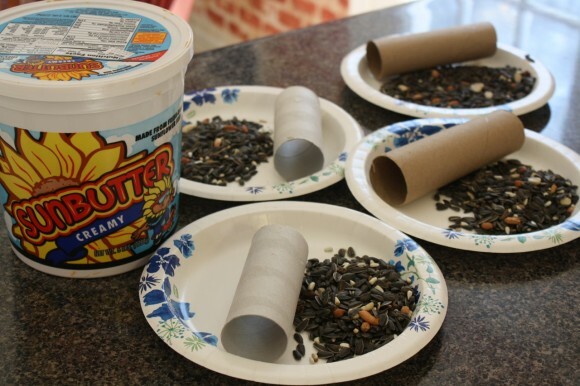 Gather your handy, empty toilet paper rolls. 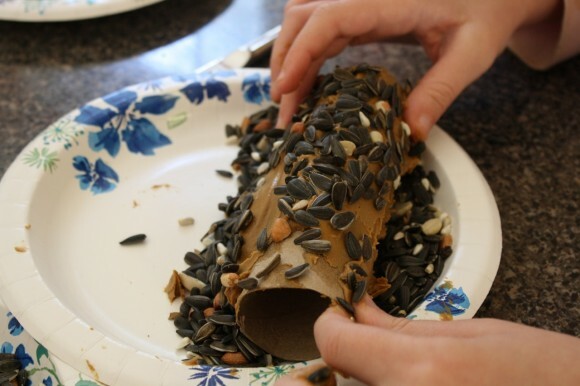 Even a paper towel tube cut in half will do. I decided to use paper plates for easy clean up. The plates I placed on the counter, right near the back door. This way each child could turn right around and hang their bird feeder right on a branch. And then just roll in bird seed. Slide on a branch. Or the bottom hook of your bird feeder – so that you can see the birds right out your family room window. Then watch the birds! Thanks to the Moffatt Girls for the idea. I think that the birds around your house would be silly not to think this is a treat!! !